Lecturer in art appreciation, art history (particularly contemporary, twentieth century British art and modernism), collectors and collections. Independent curator and art historian, previously curator of exhibitions and collections, Kettle’s Yard, Cambridge; she has also held curatorial positions at the Whitney Museum, New York, and the Laing Art Gallery, Newcastle-upon-Tyne. Lizzie gained her MA at the Center for Curatorial Studies, Bard College, New York, and her PhD at the University of Cambridge. Mentored and worked closely with artists at all stages of their careers, managed artists’ commissions and organised over 40 exhibitions, published extensively on modern and contemporary art (see selected publications below). Taught at museums and universities across the UK and Europe. A Tutor like Lizzie does not come along very often – a professional Historian who has been good enough for Cambridge, no less, yet can make learning inspired for anyone, living now in Cumbria and able to become a Tutor at Higham is something rather special. 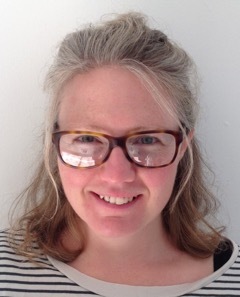 Lizzie brings extensive experience of teaching and curating art and art history on both sides of the Atlantic. Now living in Cumbria, (yes, a she’s now a local educational asset that Higham unashamedly and proudly wishes to exploit!) she brings particular expertise in twentieth century British art, modernism and contemporary art, including for us what she sees as “the less well-known” artistic heritage of Cumbria. It is around these aspects that we are building her Higham courses for anyone interested in Art and the places that inspire it. None of our other courses take you to these places, nor do tourist trips. Some locations are private, some are simply little-known. Two nighter Courses with Lizzie follow a new simple format and typically involve a lecture the first evening and final morning, (topped and tailed by dinner and lunch respectively), with a Day Out in between on Finlay the minibus to locations that have a significant connection to twentieth century artists and writers. Avoiding the clichéd haunts, Lizzie will open your eyes to a richer cultural landscape of inspiring stories and places off the beaten track. writers seeking a more profound relationship with locations. We also are planning some Afternoon talks with Lizzie – that’ll teach her to move from Cambridge to Cumbria! Lizzie’s courses offer historical insight into the art of our time, and are aimed at anyone interested in the relationship between art and place. Those who want to hone their art historical knowledge or skills in art appreciation, as well as artists seeking a fresh perspective will find much to enrich their outlook, inspire thought and provoke conversation. As a participant you may, if you wish, bring along a sketch pad, camera or notebook on Lizzie’s trips. Equally, you may need nothing more than a pair of off-road shoes. However you wish to interact with what you will discover, Lizzie will provide an informed commentary to set what you are viewing within its historical and aesthetic context.